Marino’s design contributions in the areas of commercial, cultural, residential and retail architecture have helped redefine modern luxury worldwide, emphasizing materiality, texture, scale, light and the constant dialogue between interior and exterior. In 2011 and 2010 Peter Marino was among Architectural Digest’s AS 100, and in 2010 was named amongst the World’s Top 30 Architects by Rob Report. Each year, Interior Design magazine continues to recognise him as a Design Giant, and in 2006 he was named Most Influential by New York Magazine for his contributions in the Fashion Industry. 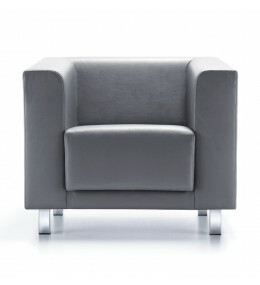 Linea A lounge seating has a compact frame, designed especially for reception and corporate areas. 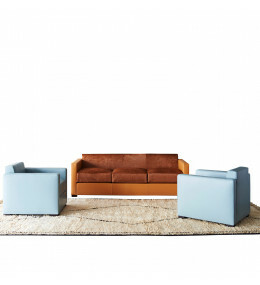 Quadric Seating for reception, lounge or breakout areas includes an armchair, 2 and 3 seater sofas.